Sarah's aim is to support every learner to gain the skills that some of us have taken for granted now that we've had our licences for many years. 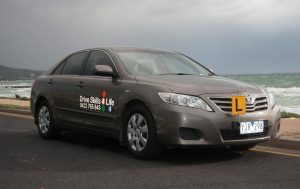 As a former licence tester Sarah found that too many young people were coming in for their test having done more than the required 120 hours but did not have the skills to avoid dangerous situations in every day life. Sarah helps Learners gain the right skills to help increase their awareness of everyone else on the roads that we share. A drivers licence is earned, not a right.